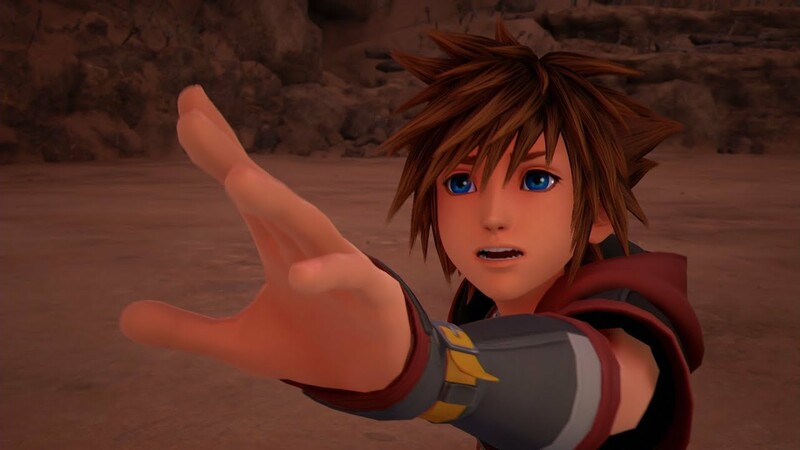 Kingdom Hearts 3's latest trailer was pushed out ahead of schedule, potentially ruining the fun for those who want to ruin it for everyone else. Square Enix released a new Kingdom Hearts 3 trailer, the final clip before the game's release (and launch trailer), ahead of its debut in January. Kingdom Hearts 3 is already out in the wild, thanks to a genius who got their hands on Xbox One copies of the game, then went on Facebook to share videos of it running for proof, selling copies for $100 via Facebook Marketplace, potentially the dumbest place you could ever go to sell (potentially) illegally-obtained goods or those that could get you or the buyer in tons of hot water. Whatever ended up happening, the game's being spoiled left and right now, prompting even Square Enix and director Tetsuya Nomura to warn fans against leaks and to discourage them from posting them at all. But as we all know, asking people on the internet not to share spoilers is usually a fruitless endeavor because no one has patience or integrity anymore, so you might want to stay away from searching for anything about the game right now, lest it potentially be ruined for you. The trailer is chock full of footage, including scenes with Ratatouille, Frozen, Pirates of the Caribbean, Winnie the Pooh, Tangled, and a selection of other extended looks at the upcoming role-playing game from Square Enix. You see "unexpected events" begin to unfold across the various Disney worlds as Sora, Donald and Goofy face some tumultuous battles in familiar territories (and unfamiliar ones, too). You also get a brief look at Lilo and Stitch's lovable alien Stitch being used as a "link" summon and cooking-themed Rataouille Keyblade attacks. Most importantly, we get a glimpse of Kairi with a Keyblade and Sora's Nobody (potentially), which gives us a brief look at where the story may be going from here. Kingdom Hearts 3 is officially due out on Xbox One and PlayStation 4 on January 29, 2019. Hopefully you can manage to avoid the minefield of spoilers online until then, if that's important to you. For more on the game, check out the official website.